The tunes on this recording are like vivid postcards from the many traditions I have grown to love: Cape Breton/ Highland Scots , Irish, central European, and more. 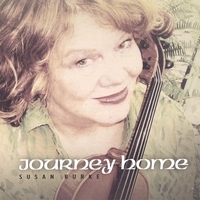 Supported by many fine Puget Sound area musicians, I have tried to offer a bouquet of some of my favorites, new and old, in the world of fiddle. Currently I play with Red Crow, Dowry, Triangularity and Silver Spire, among others. For more information about these bands and their schedules, click here.